The name "Ada Lovelace" sounds like a curtsy and a combat boot to your petticoat all at once. And that sort of sums her up: The daughter of bad-boy Romantic poet George Gordon Byron, who ditched her and her mother when she was an infant, Ada was a mathematical whiz who shared her father's lust for life. But she lived in an era when women of her social class were generally treated like show poodles. The play Ada and the Engine, presented by Middlebury Actors Workshop, explores her complicated inner world — and the almost-love affair that changed her life. 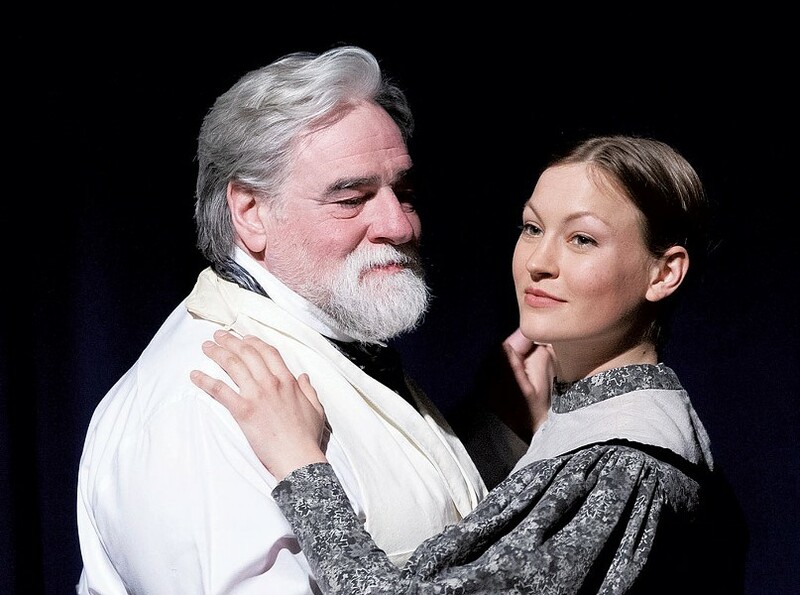 The play, which runs from April 11 through 14, features an original score by Middlebury College music professor Peter Hamlin. His colleague in the math department, Mike Olinick, lent his expertise as a consulting producer. Following the closing Sunday matinee performance, Olinick will join the cast and crew for a talkback with the audience. Ada and the Engine, written by Lauren Gunderson, premiered in Berkeley, Calif., in October 2015. The plot centers on Ada's relationship with Charles Babbage, a British mathematician and zany inventor type 24 years her senior, with whom she had the kind of Vulcan mind meld that characterizes all great affairs. When she and Babbage meet, Ada, played by Mary Krantz, is 17 and bursting with polynomials, and she'd rather eat flies than languish in domesticity. In that fateful first encounter, Babbage, played by Steve Small, a founding member of MAW, shows Ada the prototype of his "difference engine," a widget capable of crunching numbers with speed and accuracy beyond human capability. Ensorcelled, Ada asks Babbage to be her pen pal. He agrees, and the two eventually develop a high-octane friendship that no one — including Ada's husband, Lord Lovelace, whom she marries at her mother's urging — seems particularly thrilled about. "The play imagines a frustrated love relationship between Ada and Charles, which is never consummated, but it's also about mathematics and a brilliant, remarkable woman," says Melissa Lourie, MAW's artistic director, who appears briefly onstage as Mary Somerville, Ada's tutor and mentor. As the play unfolds, Ada sees in Babbage's plans for the difference engine the potential for even greater creative power. Her most significant contribution, later disputed by some scientists and scholars, was the development of an algorithm that would have allowed the machine to calculate a sequence of Bernoulli numbers, a breakthrough for which she has been deemed the world's first computer programmer. But Ada would never live to see her vision realized: She died of ovarian cancer at age 36, the same age as her father at his death. Director Rebecca Strum was drawn to Ada and the Engine for its strong female lead and relevance to the rising profile of women in STEM today. "We're in a mid-19th-century world for most of the play, presented through a feminist lens, which was very appealing to me," says Strum, who directed MAW's Cutting Edge Off-Broadway Play Reading Series last fall. "The play is really about an incredible woman, who envisioned a future where computers would be able to create art and music." The original print version of this article was headlined "AN OG Woman in STEM"